One secret to the success of the line is that Cindy Crawford did it right. She consulted with internationally-acclaimed skin specialist Dr. Jean-Louis Sebagh. The goal of Meaningful Beauty’s easy daily regimen is to nourish your skin and minimize some of the visible signs of aging. I’ve recently been using the Meaningful Beauty Glycolic Treatment Pads at night and really like them. They’re convenient and easy to use–just apply at night, after cleansing. 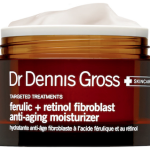 Plus, Glycolic Acid is an excellent anti-aging exfoliating treatment. The pads are super-saturated, so there’s enough for applying to face and then I also swipe on the back of my hands. 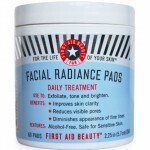 Using the Glycolic Treatment pads should, over time, help minimize the appearance of pores, fine lines and wrinkles. I like the light citrusy scent, too. Although there’s a slight tingling when you first apply, I’ve experienced no irritation from using these pads. 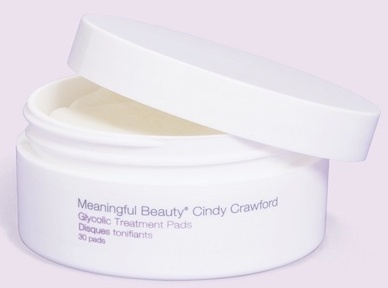 The Meaningful Beauty Glycolic Treatment Pads retail at $52 for 30 pads, sold separately by calling 1-877-383-1212 or available at MeaningfulBeauty.com as a bonus gift (5 pads) with the 5-piece New Advanced System. Disclosure: A Press sample was provided by the brand/PR for editorial consideration, product testing, photography and review. For further information, refer to Disclosure Policy. You are 100% Correct about how celebrity lines never pan out the way they all hope it will. Cindy Crawford definitely did it right though! 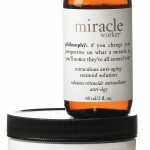 My mother uses this line of products and it really does work. That’s probably why it’s been successful for so long!